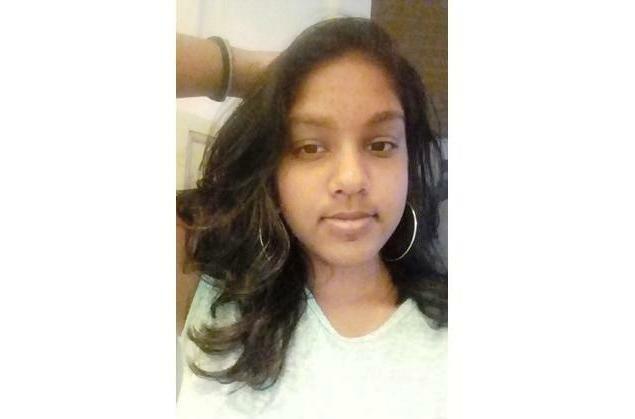 The search is on for 14 year old Anitra Ali of Belmont. Anitra was last seen around 6:30am at her home along Braithwaite Street on Tuesday February 12th. She was reported missing to the Belmont Police Station around 9:20pm the same day by her guardian. Anitra is of East Indian descent, slim built with a light brown complexion and long straight hair. She is a Form 2 pupil of Corpus Christi College and was last seen wearing her school uniform: a white blouse and blue skirt. Anyone with information on her whereabouts is asked to contact the police at 999, 555, 911, 800-TIPS or any police station.